Hello guys. My TA11 arrived yesterday and is mounted and ready for a trip to the range. I went with the TA11 3.5 with 308 BDC reticle due to my style of shooting. I can hunt with it or reach out 600-800 yards if needed. The eye relief is great and the price was too good to pass up. $700 shipped with a American Defense Mount. Range report to follow. Beautiful! 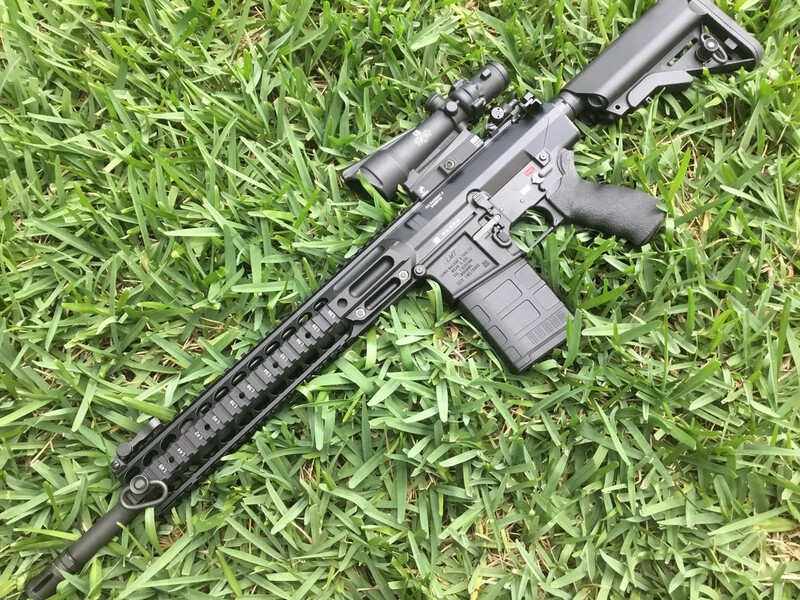 When I finish my MWS (hopefully by Christmas) that is the optic I am going to put on it. 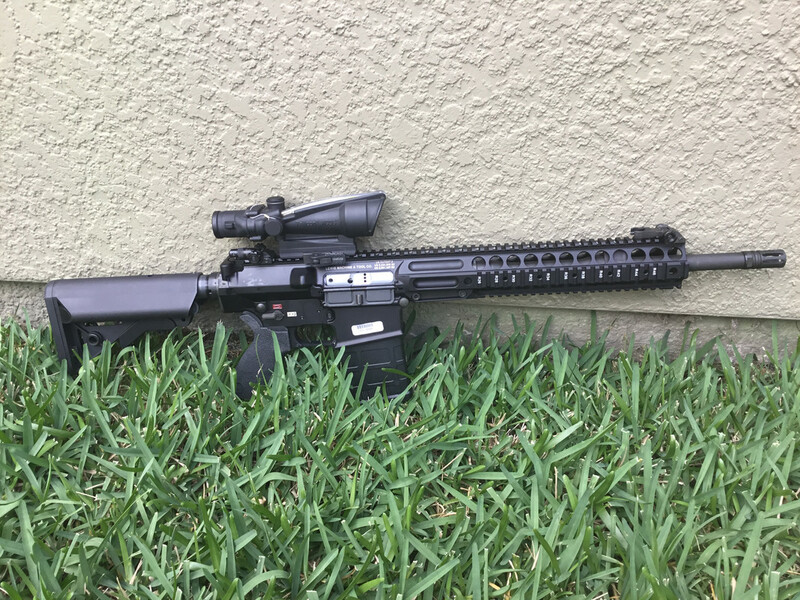 I like ACOG's and I was checking that one out a few weeks ago. Great choice! 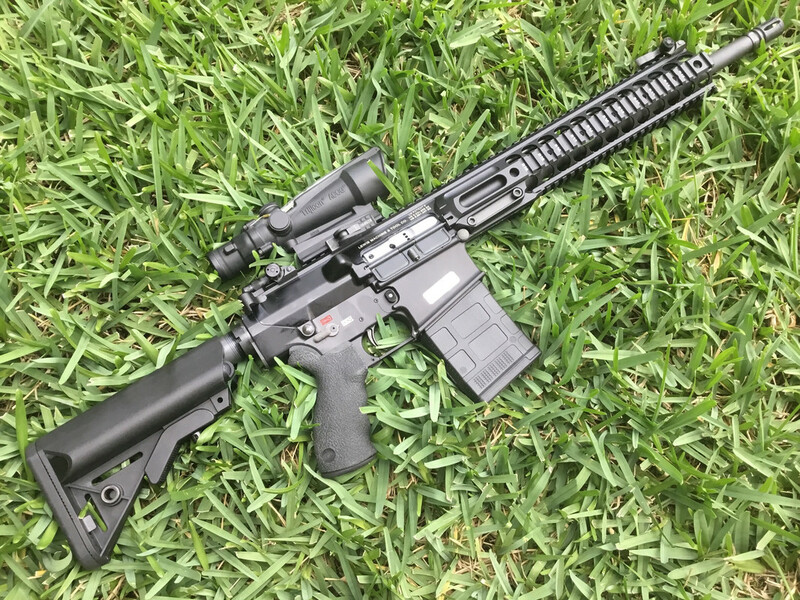 Great gun and great glass on it! I purchased it on another forum. It was NIB and sat there for a while as no one wanted the Amber reticle. I have several of the amber ACOGS and it works well here in Florida against all the green. Win for me....lol.